The Premier League build-up is now in full flow, with transfer rumours, signings and pre-season training camps dominating headlines and creating plenty to talk about. Wayne Rooney has gone home, trading places with Romelu Lukaku, with Manchester United paying upwards of £75 million for the services of the big Belgian. Diego Costa is in crisis talks with Antonio Conte, with it looking likely that the Spaniard could be playing elsewhere before the window closes, posing the big question of whether the blues can mount a title defence. Despite all of the transfer excitement, many fans will have their minds elsewhere during the off-season, focusing on how their fantasy team will look in time for the season openers in August. 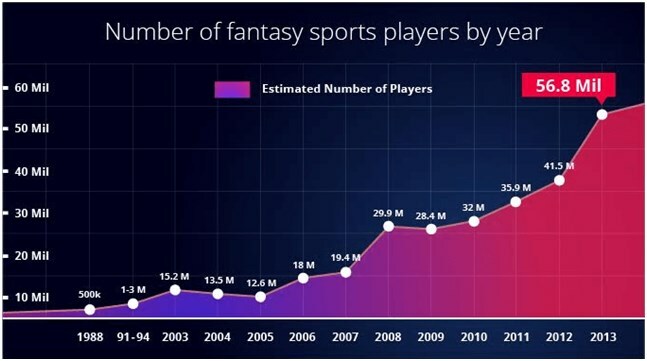 Fantasy football has exploded in popularity. Fans can compete against their friends in private leagues over the season, as well as entering automatically into leagues made up of entire countries and even all players globally. As well as bragging rights and the opportunity to get one over on your mates, many leagues will have a pot for the winner, providing even more incentive for fantasy managers to make sure they are making the right selections. Getting your team right from game week 1 is so important if you want to mount a title challenge. Fantasy football is all about consistency, with points awarded for goals, assists, clean sheets and appearances, so your players have to be playing week in, week out and making a difference on the field. Formation also plays a big part, with more points available for goals, leading some to sacrifice defender quality in favour of more firepower up front. Managing the initial transfer budget is also vitally important, with players who had a great previous season or permanent quality costing a premium and unproven or underperforming players costing less. However, just because a player is slapped with a huge price tag doesn’t mean they’re guaranteed to get points. Should I take previous form into account? Looking at a player’s previous form is a double edged sword too. Players like Romelu Lukaku and Harry Kane were both excellent choices last season following great performances in 2015/16 and will both probably continue to bag plenty of goals in the coming season. Players like Wayne Rooney and Paul Pogba however were tipped to bring in plenty of points last season following Rooney’s previous form and an expectation for Pogba to tear up the Prem, but neither got off the mark despite being pricey options in midfield. There are bargains to be had every year as well, with players like Jermaine Defoe riding high in the points table last year despite having a reasonable price tag. Looking at what the bookies are saying before the season starts is always a pretty good indicator of who could be a top performer in the season to come but the best way to ensure fantasy success is to be on the ball with your selections and boosts. Many people forget to substitute injured players, drop underperformers and pick players who have two games in a week to max out on points. Lots of fantasy managers also forget to use their bench boosts, transfer wildcards and all out attack options, great ways to try and catch up with league leaders or put some space between you and your competition. The easiest way to do this is to download the Fantasy Premier League app and set alarms on your phone!